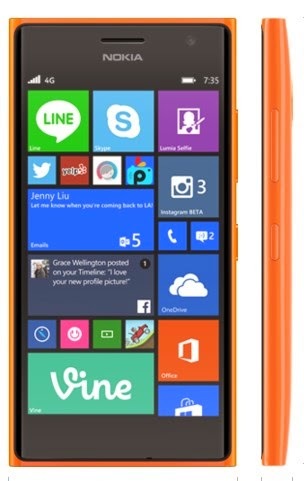 The Nokia Lumia 735 is a windows phone released as a successor to the Nokia Lumia 720 with some added features to make it more engaging, this phone comes with a large- 4.7 inches HD screen protected with a corning Gorilla glass 3 to ensure protection from sharp objects. The Pro features of the Nokia Lumia includes the 5.0 and 6.7 MP front and rear camera respectively (capable of recording videos with HD quality), wireless charging capability, fast internet and the 8GB built-in storage which is expandable to 128 GB with micro-SD. The price of the phone is not known yet but there are speculations that it should be sold between 45,000 - 55,000 naira. You will get the details on that as soon as it is released in Nigeria.